Thanks to Dinty Moore over at Brevity, I’m sharing this post from Robert Atwan, editor of Best American Essays. The secret truth of my memoir is that half the chapters began as essays. I love the form of the essay as much as I enjoy the short story–they take an idea and examine it succinctly like holding a jewel up to the light–or maybe like holding up a ViewMaster and slowly clicking through one disk, a picture at a time. I haven’t always agreed with Atwan’s choice of guest editors (Mary Oliver is a POET! Christopher Hitchens should have titled his edition Best American POLITICAL Essays! ), but still, he is a great champion of the essay. He recently provided a list of the best 10 American essays published since 1950 to Publisher’s Weekly. I’m sharing the link, because I was delighted in his choices and also because Atwan gives links to half the essays so you can read them right away if you want! The names I was most please to see? 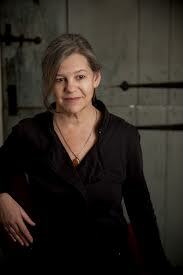 Jo Ann Beard, whose essay “The Fourth State of Matter” blew me away when I first read it in The New Yorker. I ALSO was please because I worked for a magazine, Prairie Schooner, who published Beard BEFORE the New Yorker discovered her. Pat, pat, pat. She is an incredible talent. 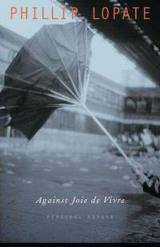 Phillip Lopate’s essay also is wonderful and since there’s not a link provided, I’ll share that this essay is in a collection published by the University of Nebraska Press, Against Joie De Vive. I’ll let you discover the rest on their own. Now back to finishing my own last few pages . . .